Our members have put moves to music to encourage new members, to test our skills and have some fun!.This year will be our second Showcase, aiming to be bigger and brighter then the first. 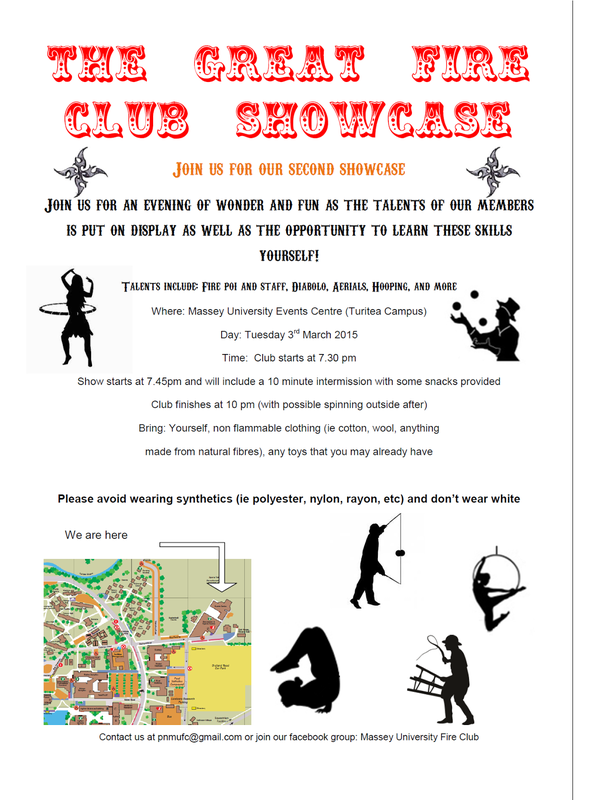 Come see trick hooping, staff routines, contortion and the aerial lyra to name but a few of the acts for the night. If you want to see what we like to do in our spare time, pick up a new toy move or skill yourself or even just come for free biscuits pop on down on March the 3rd! Performances kick of at 7:40pm.